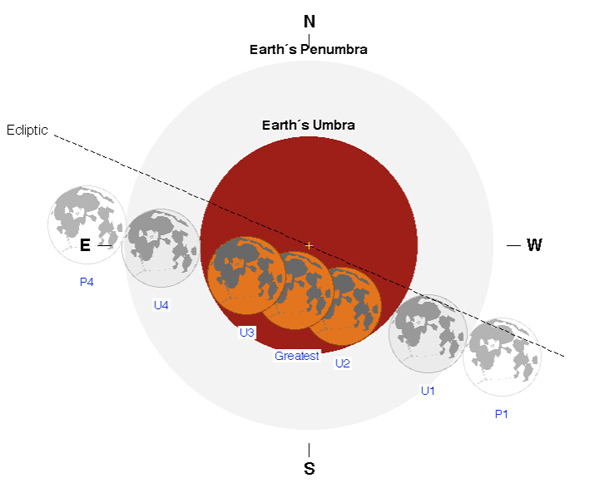 It’ll take just over an hour for the Moon to pass fully into the shadow, and the last sliver of it will slip into darkness at 02:11 UTC (10:11 Eastern). It’ll stay dark for more than an hour, and then start to be illuminated once again at 03:23 UTC (11:23 Eastern). “Last contact,” when it is out of Earth’s shadow, occurs at 04:27 UTC (00:27 Eastern, after midnight). The great part of this is as long as you have clear skies, you'll be able to see it without a telescope or binoculars. I highly recommend checking it out, I will be.